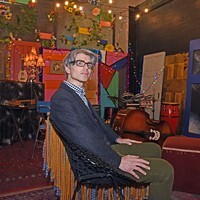 Musician Steve Bassett Returns With a Funky New Album Backed by Some of Richmond’s Finest Young Players | Music | Style Weekly - Richmond, VA local news, arts, and events. About 10 minutes north of the city, near the back of a sleepy little suburb, musician Steve Bassett sits in his cozy, if a little rusted, 1957 Buddy Travel Trailer, stubbing out a cigarette in a tin container. He is best known as a co-writer of the popular state song, "Sweet Virginia Breeze," written with Robbin Thompson in 1978, though Bassett's career as a pianist and singer goes back to the 60s. It includes a long stint as a commercial voice artist for products as varied as Noxzema skin cream, Sunkist soda and Kraft Barbecue sauce, for which he was the voice of Bobby Q., a headless chicken dancing on a grill. All the while, he never stopped recording albums. Most were made in either Nashville or Muscle Shoals Sound Studio in Alabama, utilizing a crack team of session players known as the Swampers. But for his funky new album, "Tres Leches," a nod to Kuba Kuba's famous cake, Bassett recorded with a who's who of younger Richmond musicians. And he only had to walk across a dirt road from his trailer to Montrose Recording studio, built on a former plantation by his friend, musician Bruce Olsen. 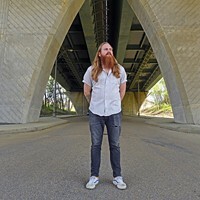 The album began more than five years ago when drummer Dusty Simmons, guitarist, engineer and Bruce's son Adrian Olsen, and guitarist Russell Lacy, invited Bassett to jam. Soon they reeled in other musicians: keyboardist Daniel Clarke (K.D. Lang and Ryan Adams) and veteran bassist Bob Rupe (the Silos and Cracker). They recorded eight or nine instrumental pieces to tape, never needing more than three takes of each song. Simmons says the music was "super greasy" and loose, and he quickly realized there was an entirely different depth to Bassett most people don't know. Simmons says the goal was not to make a safe record. "I was blown away by how vast Steve's range was as a musician. He could go anywhere," he recalls. "We became really close friends, started having dinners together." After recording, everybody scattered back to various gigs and day jobs and the songs sat for several years. Then Simmons and Bassett slowly got together to write lyrics and melodies to the music and finish the job. "A lot of it was me telling road tales and, as a result, I think the lyrics ended up somewhat biographical," Bassett explains. "I would yield a lot to [Dusty's] sense of rhythm to take me into new places, in terms of the melody and how the vocal is placed." 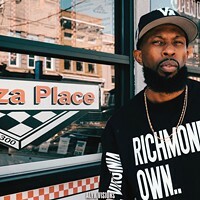 Within this generational collaboration, some lyrics feature current slang ("side piece") and others riff on old school Richmond idioms from the '70s, such as "Hadjaloney" which Bassett says is an old phrase local bartenders used that is the equivalent of today's "Bye, Felicia." Both mean good riddance. Horn overdubs were provided by No BS Brass's Marcus Tenney and Reginald Chapman while gospel trio Resound added backing vocals and Corey Wells played some guitar. "It's not chopped up though," Simmons says of the all-star effort. "The lion's share of the record is recorded live." Montrose is known for its vintage 1969 Flickinger recording console, originally bought from Paragon studios of Chicago, and used on all the Ohio Players albums and several by Styx. The in-demand Clarke, who acted as a bandleader, had wanted to play with Bassett for a while, he says. Clarke's father, a sax player, knew Bassett back in the day and played with touring musicians such as Wilson Pickett, who allegedly stiffed him. "I grew up with an appreciation of soul and beach music. It's very genuine," Clarke says. "And the way Steve approaches the whole thing is really from that era. He understands the region." 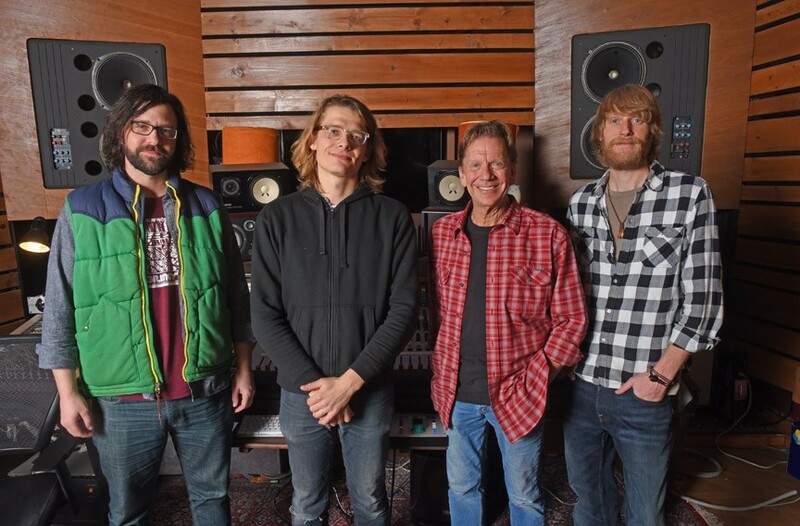 Keyboardist and bandleader Daniel Clarke, engineer and guitarist Adrian Olsen, singer and pianist Steve Bassett, and drummer Dusty Ray Simmons stand inside Montrose Recording studio just north of Richmond. Bassett grew up surrounded by music in Richmond. His father had eclectic tastes and his brother brought home influential records by the likes of James Brown and Lloyd Price. Bassett played drums in the Tuckahoe Junior High Band and Freeman High School and was mostly self-taught as a pianist, performing for high school musicals as well as a seven-piece West End soul band, the Delshons. He learned a lot from catching legendary soul acts at the Sahara Club and the Mosque Ballroom. "We were the only white faces in the building, sneaking in underage," he recalls. "And we were welcomed." After a brief college stint in Wilson, North Carolina, Bassett dropped out and started playing in bands, kicking off a five-decade career. He lived in Wilson with Ed King, guitarist and co-founder of the Strawberry Alarm Clock, who would go on to co-write "Sweet Home Alabama" as a guitarist and bassist with Lynyrd Skynrd. Bassett moved back to Richmond in the '70s and began playing under his own name. He recalls King showing up in a motor home to give him an early copy of the debut Skynrd album — "I think I was one of the first to play it publicly where I worked." Yes, that means radio anthem "Freebird" first flew right down Grace Street. After the regional popularity of his own "Sweet Virginia Breeze" in the late '70s, Bassett met John Hammond Sr. and scored a major label deal on Columbia Records. He recorded an album with famous Atlantic Records producer Jerry Wexler that failed to make a dent, but he still cherishes the experience. "Both Wexler and Hammond shared an ear for something unique and a desire to help an artist develop a unique sound," he recalls. "Jerry was hands-on, he would dance in the studio. … [But] R&B was over at that point, John Cougar was popping up." Soon Bassett was introduced to commercial jingle work by guitarist Elliott Randall, who played the solo on Steely Dan's "Reelin' in the Years." Bassett made his living recording jingles around the country for most of the '80s, before technology changed that business, to the detriment of working musicians. "They started saving money by using computers," he recalls. 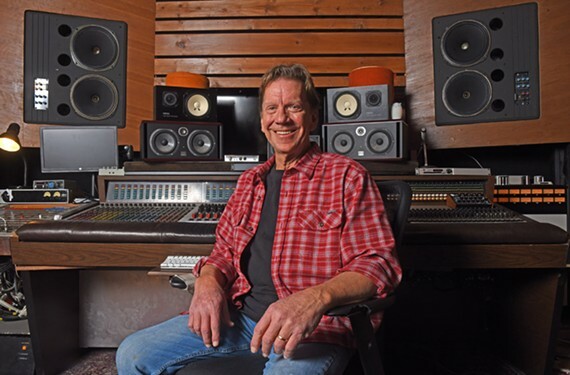 Bassett is full of stories from his days on the road, from playing with Bob Segar's early group to his regular touring with Delbert McClinton's band, which involved opening for Willie Nelson and sparking up with him on the bus. In 2009, Bassett was invited to play at Wexler's memorial tribute show in New York with the likes of Joe South, Allen Toussaint, Bonnie Raitt and Bettye Lavette. A high point of his career was closing the show with "Shake, Rattle and Roll," he says. 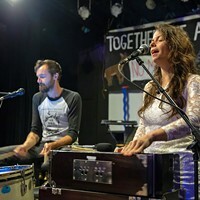 Two highlights from the new album are the bluesy vamp "Best of Me," which stomps along before shifting into a soulful and redemptive piano-led chorus, and the reflective, New Orleans funk of "Goodbye Hadjaloney." On both songs, Bassett sounds like a seasoned road warrior at the peak of his powers, crooning weathered lines such as "I never knew how to say it, but I could sing it. … Every day I grow older, I grow fonder, let me lay it on ya. … I keep on dreaming just to keep the dream alive." The singer recalls that when he started out in Richmond, there were only a few local musicians making original music and a handful of rooms to play. That meant that bands didn't work as frequently, but had time to hone their songwriting. The competition to play those few rooms was intense. He believes that what Richmond has always lacked is a professional development bridge, or voice, to the outside music world. But with labels such as Spacebomb receiving large outside investment, and keeping Adrian Olsen stacked with projects at Montrose, he sees that changing some. "I've been lucky. Except for years out on the road playing with Delbert, or when I was doing jingles, I've been able to come back to Richmond and do a nightclub act or special events," Bassett says. "Good solid soul music. That has allowed me to continue recording what I want: to be an artist without answering to anybody." At 67, Bassett says he's an introvert who doesn't hang much anymore. "But my favorite times to hang are with people I'm creating with, you bare your soul and find out who other people are," he says. "My most valuable friends have been made that way. … Music is a healing thing, that's scientifically proven." What he hears the most after shows is people asking him if he knows how lucky he is to still be doing something he clearly loves for a living. 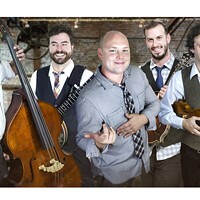 Steve Bassett and the Tres Leches Band performs at the Broadberry on Sunday, April 8. Doors open at 7 p.m. and the show starts at 8. $10-$15.